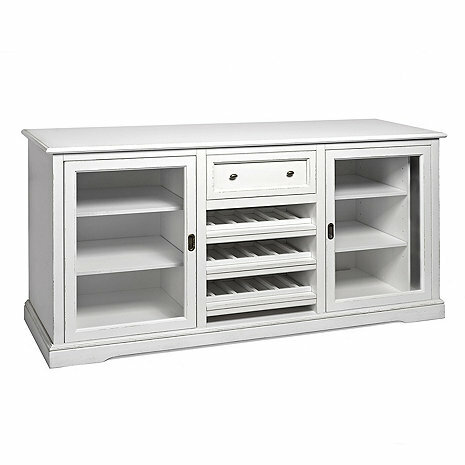 Please note: This Siena Wine Credenza does NOT include a Wine Refrigerator. 2 spacious storage areas with sliding pocket glass doors, adjustable shelves, and room for our 9-glass Stemware Rack*. * SStemware rack sold separately. 2 sets of screws are included with the stemware rack, please use the shorter set of screws to ensure the table top of the Siena is kept in tact.